That old Black Magic has me in it’s spell……. Frank Sinatra (amongst lots of other great performers) sang this song. However I just love the Black Magic stamping technique. I’ve done it in classes lots previously (mainly because it’s such a hit!) but when I was asked to do a workshop for either gorgeous ladies in Stanthorpe I thought that Black Magic was needed to WOW them. And! WOW them it did. They loved it. 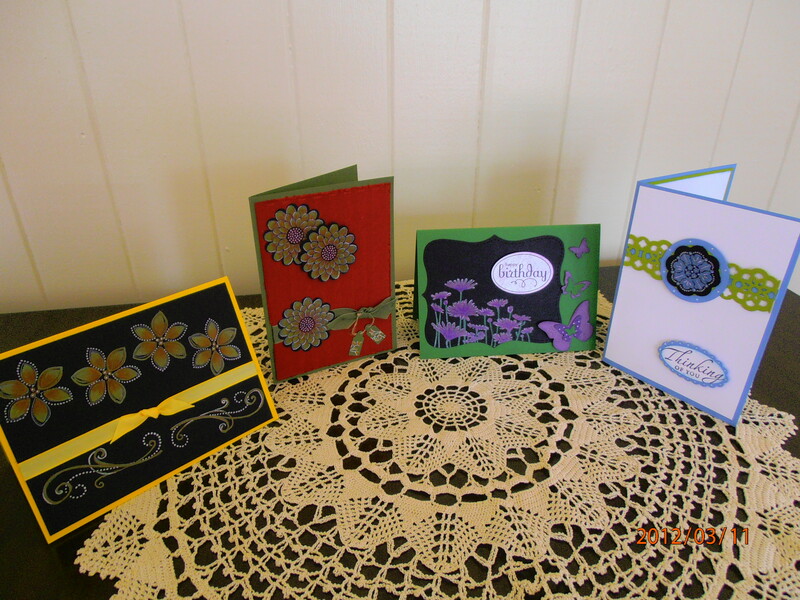 These were the four cards that the girls made. 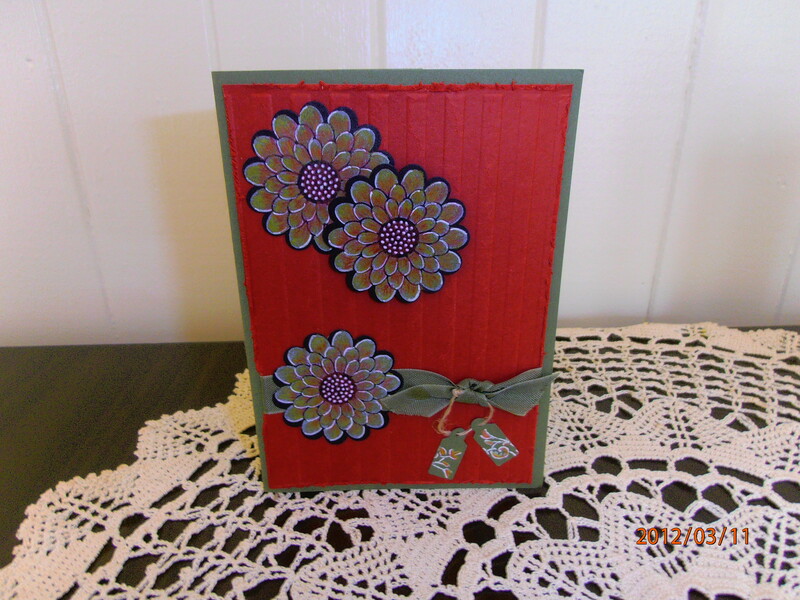 I usually start a workshop with the ‘easiest’ card and this was the first card that the ladies made. It featured the SAB stamp set ‘Fresh Vintage’ (my personal fave!) 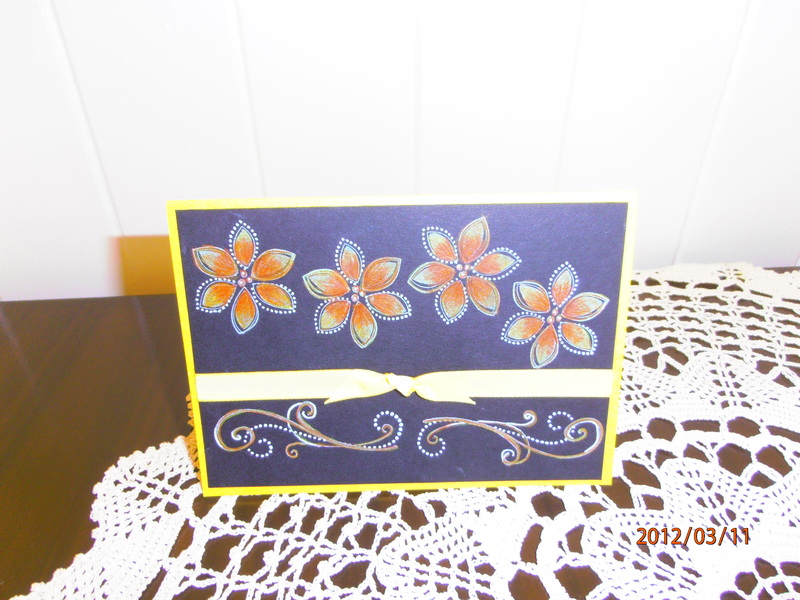 All cards of course used the White Craft Stamp pad, SU’s watercolour pencils and the white gel pen. The next card started out as a Christmas card, but didn’t end up as one!!!! How often does that happen? Ever? The third card was a bit of a challenge for me. Anything using butterflies is a challenge for me. 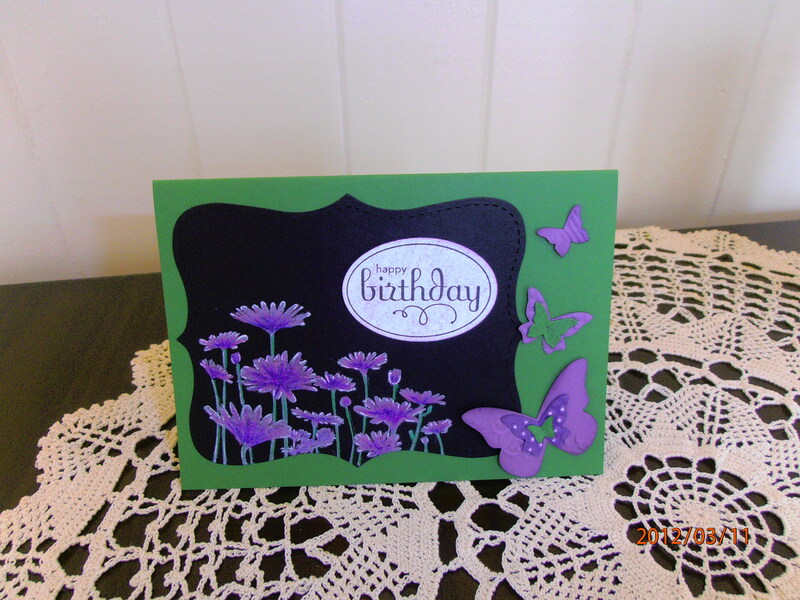 I like butterflys (in real life) but in stamping projects weeellllllll…………. and the Grand Finale was my personal fave! I hope you enjoy Black Magic as much as I do. Please leave me a comment if you like the technique.